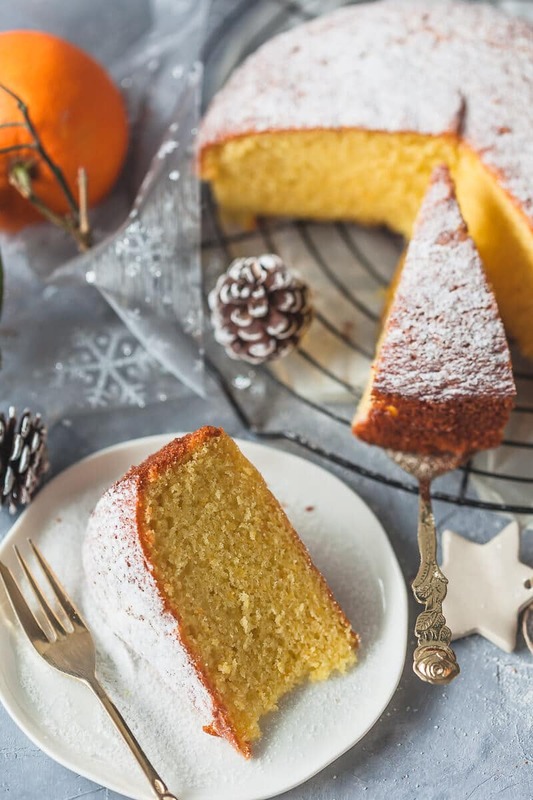 To finish 2017 in style here’s an easy dessert to serve at your New Year’s Eve Dinner, the Olive Oil Orange Cake. 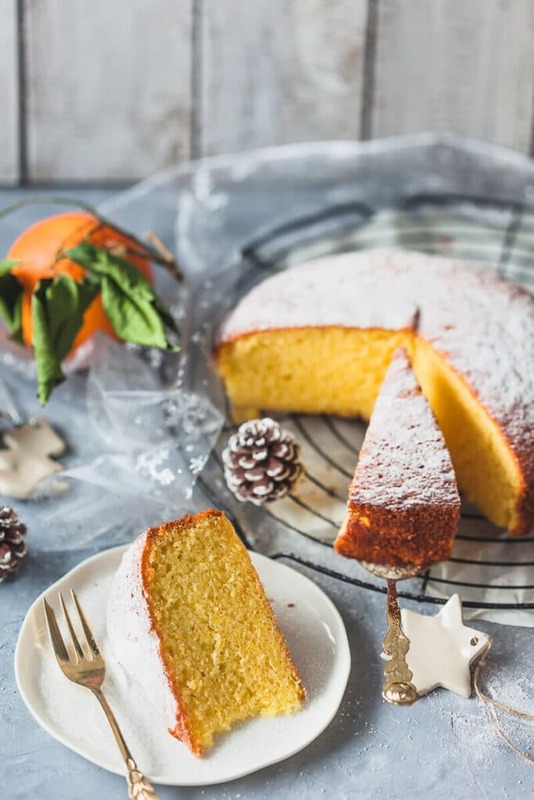 Now, this cake may look simple, but it packs a powerful flavor of oranges and subtle olive oil notes. 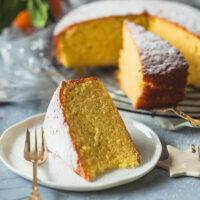 This Olive Oil Orange Cake is so fluffy and light, you will immediately want seconds! 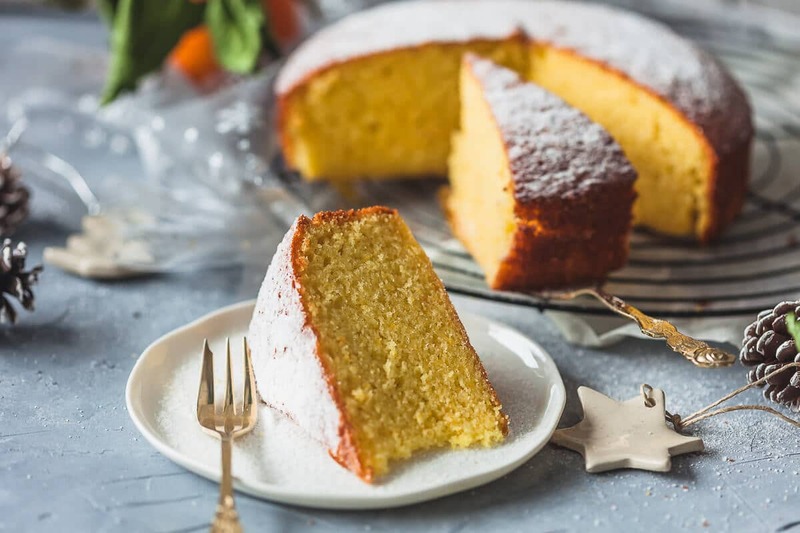 And it couldn’t be easier to make this cake: just toss ingredients in an electric mixer, mix until combined, fold in flour and baking powder and bam – in the oven it goes! It’s the perfect dessert for when you don’t want to fuss around the kitchen a lot, but want your coffee cake on the table. This is exactly the kind of cake I like — no “let cool and THEN FROST and THEN DECORATE”. A sprinkle of powdered sugar is all it needs! Sounds divine. Hi is this plain flour or self raising ? Hi Laura, we used plain flour, not self-raising. For the 2 small oranges do you mean mandarins? Or are those too small? Hello Liz, mandarins are too small and also have a different taste than oranges. I recommend using oranges, but make sure they are not very large as those will have too much liquid. Just stick on the smaller side with oranges and you’ll be fine! Delicious cake. Just made it with my two oldest daughters. Easy as can be, and took no time. We decided to make muffins. and got 18 decent sized out of it. That also cuts down on the sugar/fat/calories per serving for the kids. 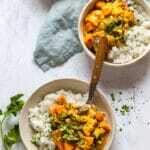 We followed the recipe quite closely, but used normal sized oranges, and instead of just using the juice, we chopped them very finely, to a pulp really, and used all of it. No sugar coating. Perfect without. Thanks! Thanks for your feedback! I love the idea of serving this cake as muffins! My son is allergic to eggs. What could I use instead? Hello Marie, you could try with vegan replacements for eggs, but we have not tested this recipe with replacements. Hope this helps. 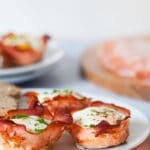 If you do try to make this recipe with an egg replacement, please do come back and let us know, how it turned out! 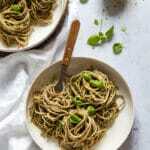 Can you add dark chocolate chips to this recepie pls? Hello Roseanne, sure if you fancy it just add in chocolate chips, although we would not recommend it, as it will change the flavor and texture of the cake. Do you use total zest and juice from two oranges? Hello Mary Ellen, yes we use the whole zest and juice of two oranges. We have a friend visiting who is allergic to dairy. 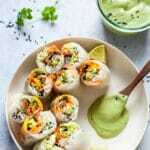 I googled “dairy free dessert” and found this recipe. It was a homerun! Moist and delicious. Not too sweet. But packs a flavorful punch. Thank you for the yummy suggestion. This is a keeper. For all of us! Hello Ann, thanks for your lovely comment. We are so happy you liked the recipe! Thanks for your question, Maxine! 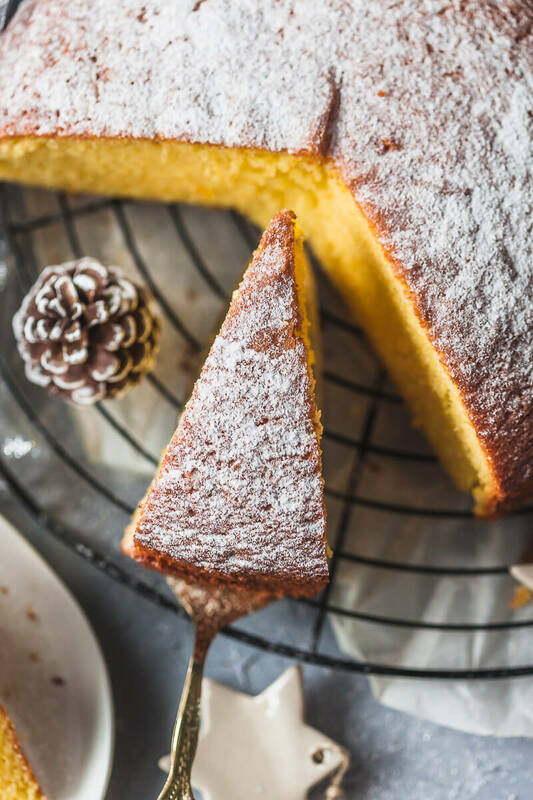 You can use extra virgin olive oil, but keep in mind – this oil has a stronger taste and it will show in the cake. 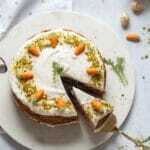 Plus, baking with extra virgin olive oil is not recommended, as it is more sensitive to high temperatures. We recommend using regular olive oil. This cake is Delicious! I made it as per the recipe. It was done at 30 minutes. I frosted with dark chocolate ganache and we could hardly stop eating it. My oranges were medium sized and it was just right. Thanks for letting us know, we’re so happy to hear you liked it! Great idea to add chocolate ganache. I would like to ask if you use plain flour or self raising flour? Also is your recepie doubled as your cake look very nice and high? Hello Angela, thanks for your question! I use plain flour and add baking powder. The recipe is not doubled, but I did use a smaller pan (8-9 inches).